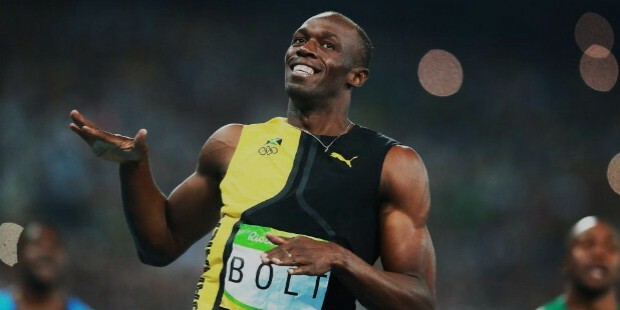 Usain Bolt was born on 21st August, 1986 in Sherwood Content, a small town in Trelawny, Jamaica and was one of the three children of his parents. His parents used to run a grocery shop. He was enrolled at Waldensia Primary for his primary education where he won 10 metre running contests. Usain Bolt, the world’s fastest sprinter, is the first man to hold both the 100 metre and 200 metre world records since automatic time keeping began in 1977. Loved for both his lively personality and dominance on the track, Bolt keeps both the media and the record keepers in a frenzy. His sprinting potential was recognised at a young age when at twelve, he became his primary school’s fastest runner over the 100 metres distance. 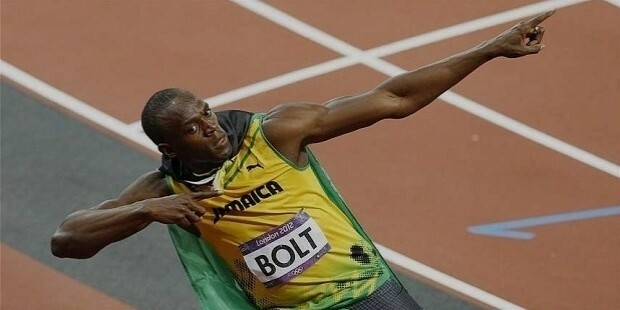 During high school, Bolt was still primarily interested in other sports, but his cricket coach noticed his speed on the pitch and urged him to try track and field events. His speed was soon noticed by Pablo McNeil, a former Olympic sprint athlete, who encouraged him to focus his energy on improving his athletic abilities. 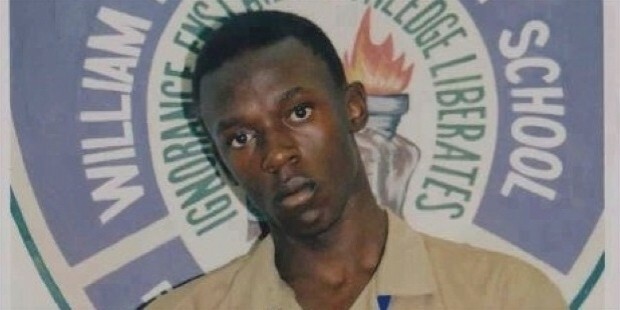 By the age of 15, Bolt had grown to 1.96 metres (6 ft 5 in) tall, and already stood out among his peers. At that early age, he won a gold medal in the 200 meters in a time of 20.61 seconds at the 2002 World Junior Championships. His win made him the youngest world-junior gold medallist ever. At the Summer Olympics, 2008, Bolt won three gold medals in the 100 meters (9.69 seconds), 200 meters (19.30 seconds), and 4x100 meter relay (37.10 seconds), all world-record times. 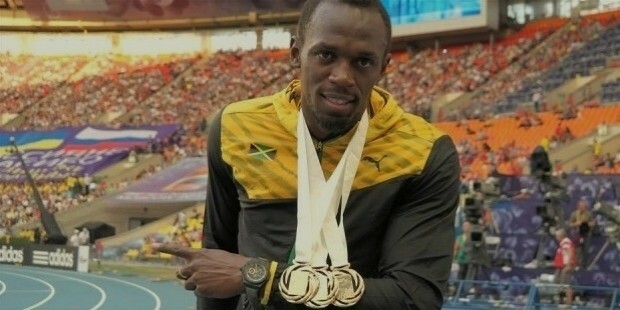 There, he was termed as the world's fastest man when he ran the 100 meters in a spectacular 9.69 seconds. The next year in Berlin, he ran the 100 meters in a stunning 9.58 for a new record, more than a tenth of a second faster than anyone else had ever run the race. His flow of medals continued to rise through junior and youth competitions, to the world championships, to the Olympic games. He is the first in the sport to achieve a “double double” by winning 100 m and 200 m titles and consecutive Olympics (2008 and 2012). Adding to this, he even claimed the first “triple double” (including the 4 x 100 m relays). While Bolt has been criticised for his slow gate-starts, he supports focusing on strengths rather than weaknesses. "I was always a bad starter. I'm still not great," he says, "My Coach Glen Mills told me the last 50 meters is the best part of my race, so I should just concentrate on getting to top speed." Being a champion is a mix of dedication and motivation. 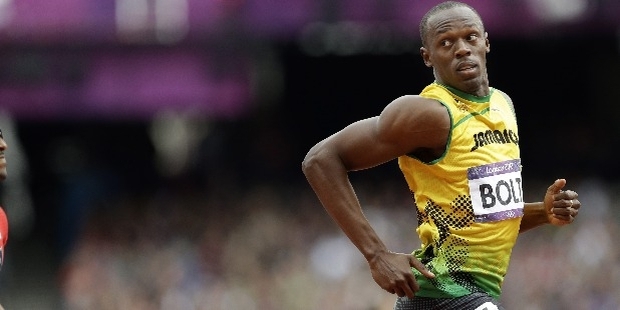 Bolt’s playful demeanour should not fool anyone into thinking he doesn’t work hard. 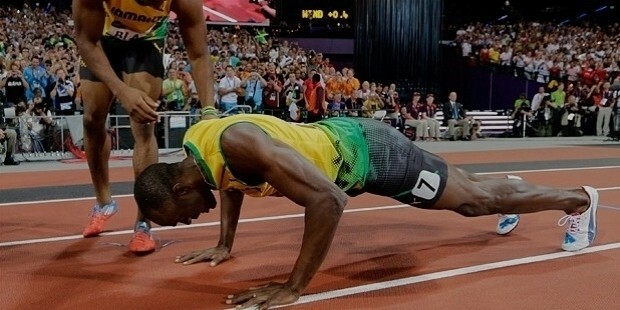 While not a self-proclaimed “workaholic”, Bolt puts in the work when he needs to. Training hard are having fun are kept separate, and this is the system by which he maintains focus. 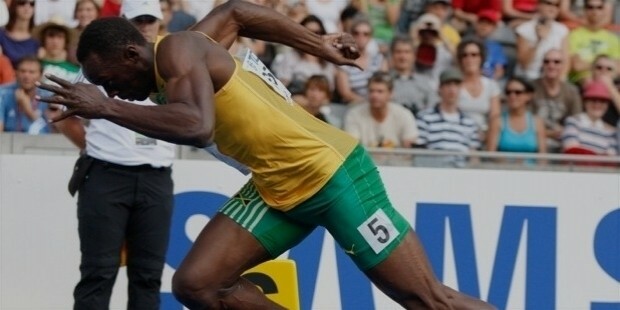 Professional sprinting can only last while your body is in its prime, so what Bolt be doing 10 years from now? 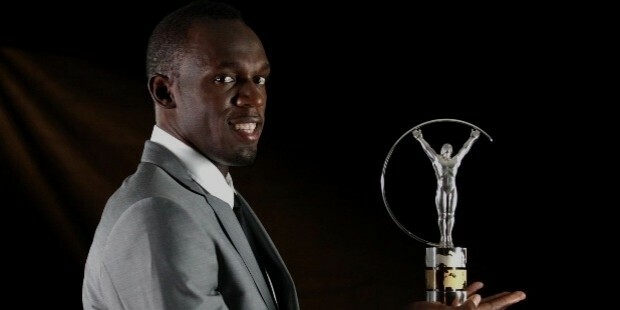 Bolt has humorously suggested, "Well, the professional answer is to have a business and work hard. But I also just want to put my feet up and play video games all day!" Bolt is one of only nine athletes to win world championships at the youth, junior, and senior level of an athletic event. 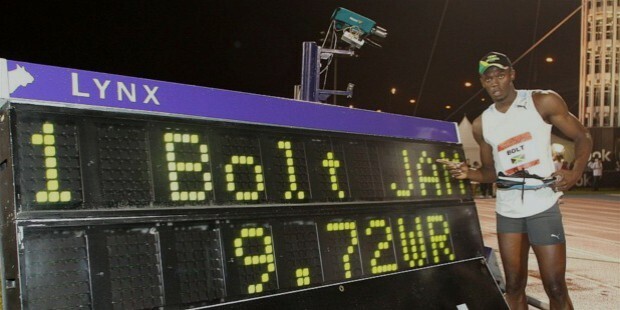 On 31 May 2008, at the Reebok Grand Prix held in the Icahn Stadium in New York City, Bolt set a new world record in 100m when he ran 9.72 s with a tail wind of 1.7 m/s. After winning the three gold medals at the 2008 Olympic Games in Beijing, he became the first man in Olympic history to win both the 100-meter and 200-meter races in record times. The win also marked Bolt's second consecutive gold medal in the 100. Bolt went on to compete in the men's 200, claiming his second consecutive gold medal in that race. He is the first man to win both the 100 and 200 at consecutive Olympic Games, as well as the first man to ever win back-to-back gold medals in double sprints. During the London Olympics, 2012, Bolt set a new Olympic record as he retained his 100m Gold medal on the 5 August of that year with a stunning performance. It was his fourth Olympic gold medal. Bolt continued his success in Rio Olympics, 2016 by winning the men’s 100m for the third occasion and that has made him the first athlete to win three successive titles in the event. There, he also won the men's 200m after racing past the finish line in 19.78 seconds. 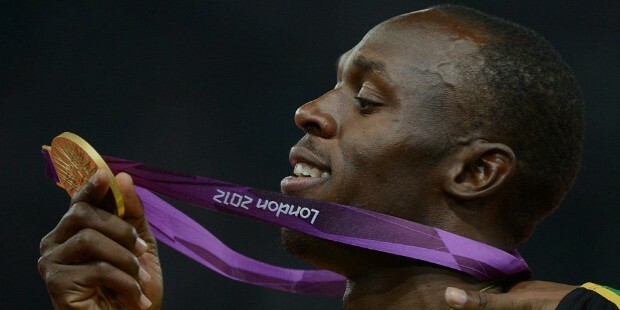 Usain Bolt announced his plans to retire after the 2016 Olympics. In October 2008, he was made a Commander of the Order of Distinction, which entitles him to use the post nominal letters CD. In 2009, at age 23, Usain Bolt became the youngest member so far of the Order of Jamaica. The award was "for outstanding performance in the field of athletics at the international level". In the Jamaican honours system, this is considered the equivalent of a knighthood in the British honours system, and entitles him to be formally styled "The Honourable", and to use the post-nominal letters OJ. Bolt is unmarried, but his mother hopes that her son will tie the knot soon after the Rio Olympics. Wellesley Bolt and Jennifer Bolt are his parents while Sherine and Sadiki Bolt are his siblings. Bolt is also known for his humanitarian work as he had donated US$50,000 to the victims of the 2008 Siachen earthquake.